Today I'm happy to introduce a more advanced interactive presentation regarding shale oil production in North Dakota. It enables you to answer many more questions, which my earlier presentations couldn't easily do. Which operators, counties, fields or formations have the best and worst performing wells? How has well productivity developed over time? Where exactly are those best and worst performing locations? Instead of only looking at the average well productivity, how are the returns, and production rates, exactly distributed? Towards which ultimate oil & gas returns are wells trending? This first overview ranks the selected dimension (‘Operators’ by default), based on the average well productivity. This allows you easily to find out which operator, county, or formation has the best or worst wells. for which product (oil or gas). This can be selected with the ‘product’ selection. for which period. This can be selected by setting how many months of production is counted. The top list then ranks the dimension based on this average well productivity. If you click on one item in the list, the map below will show the exact locations of the related wells, with colored dots. The size of these dots gives an indication of the average well productivity for wells in that area. You can click on these objects on the map to get more information, such as the number of wells. By clicking a name on the color legend, the related wells will be highlighted. This works in all views. Also, as usual, addition filters are available at the right side, to narrow down which wells are considered, and from which period. This second overview works similarly, but is meant to reveal how this well productivity has evolved over time. This will show very quickly whether wells in a basin or county, or for an operator, have improved or deteriorated over time. You can select again how well productivity is measured (product & period). The date that wells started production is shown on the x-axis. Be aware that this measurement for well productivity is just a snapshot in time, and that, due to changing production profiles, a measurement over a different time horizon may give quite different results. With the ‘granularity’ selection, you can set whether the graph shows productivity over years, quarters or months. This should help to zoom in/out. This overview shows all the fields in the basin, by operator, and the colouring is based on the average well productivity in that location. With this it is very easy to find where wells have been doing well or badly. More information is shown in tooltips, by selecting objects on the map. If you are interested in knowing how well returns are distributed, this is the place to look. Again, you can select how well productivity is calculated, and the graph will show how many wells have reached a certain amount of cumulative production. The orange line (the running % of total, displayed on the right hand side) is helpful to determine the percentage of wells that are above or below a certain amount of cumulative production. With this you can quickly figure out how much the top 10% of wells have produced for example. The average and median returns are also shown below the graph. This, and the next overview, only work for oil at the moment, and not yet for gas production. This overview works the same as the previous one, but instead of showing the cumulative returns of wells, it shows how production rates are distributed after a specified period that wells have been producing. For example, if you want to know how production rates are distributed after 5 years on production, you can easily find that here. The small overview below the graph shows again how many wells are included in the selection, and the average & median production rate. This is one of my favorite overviews. The graph plots production rates against cumulative well production. It gives in my opinion quite a good indication towards which ultimate return wells are trending, especially if you select a certain production rate as the cut-off point. You can select to show wells by year, quarter, or month of first flow (other dimensions will not show anything). This overview works for both oil & gas. Also, the chart can be set to (semi-) logarithmic, or linear scale. I’m not assuming that the well profiles follow a specific function, but nonetheless these charts seem helpful in determining a realistic potential. Note that the chart only shows wells once all wells for the selected starting period have reached a certain age (in other words, incomplete ‘tails’ are hidden). This explains why 2016 wells are not yet shown, as not all 2016 wells have started yet. If you select well profiles by quarter or month of first flow, more recent results are therefore shown (as the incomplete tails are shorter). This is the end of the description of this new presentation. My intention is to improve and extend this presentation, based on feedback I receive. In the future I may start to publish this advanced version for each of the basins on a regular basis (in addition to the existing free updates), but for either a subscription or one-time fee. I am very interested to hear from you what you think about this, and whether or how, this presentation could add value for you. Feel free to either post your feedback in the forum, or by mail to me directly (using the contact form). Also, if you have any questions, or encounter any glitches, please let me know. This test version contains the latest production data for North Dakota through September. Depending on your feedback, I may release more test versions in the coming 2 months, in which I can include data for other basins. [updated] Once Ohio releases Q3 production, I will publish a new update on the Appalachian basin (Marcellus & Utica), which will be followed by posts on Texas. A tremendous amount of information here. SAS in a can. Great presentation. Amazing linearity in the logarithm rate cumulative curve family… what an extrapolation tool. Thanks Enno, Your data presentation is brilliant! What seeking alpha writers fail to communicate in 2000 words of boring, barely comprehensible prose, you can display in one graph. Thanks a lot for your feedback, that is great to hear. I must admit I also have a fetish for graphs, and favor them way above long pieces of text. I was also surprised that the trends displayed in the Ultimate Return graph appeared so clearly. I recommend also viewing it by ‘quarter of first flow’, and ‘month of first flow’. This will show a finer granularity, and show more recent data. Also, it is interesting to see these graphs by individual counties, like McKenzy, as some of the changes in well profiles are due to a shift in geographical focus. Again, Enno – thankyou ! hopefully more people take note of the outstanding quality of your work. it may even save them “a lot” of money ! How come I can’t find Burlington (Chevron) in the menu? Is there an acronym or some other name I should use? Based on another communication, I realized that Burlington was acquired by ConocoPhillips some years ago, so now it is listed under that name. It would also be useful to know the sample size (number of wells) that give the averages for the flow curves (as is shown on the map pop ups). Where is this number of wells missing? I’ve tried to add them to all tool tips, so if you click on an item in a list or graph, it should also become visible. You are right – I wasn’t looking hard enough. Thanks. This can’t be right. You have Continental losing 35-40 kbopd in 2016 yet the 149 2015 wells are still making 325 bopd apiece? That is 48,000 bopd per day? Continental Resources had indeed 149 operated wells in ND starting in 2015. In the screenshot below you can see that based on the standard ND post, you can find that these produced in total 26114 bo/d in September, or 175 bo/d on average per well. The meaning of the 325 bo/d is as follows : these 149 wells produced on average 325 bo/d on their 9th month of production. This may not have been so clear. You did help me to figure out a small issue though : there should be 10 months shown, instead of 9 (as the last 2015 wells had in Dec 2015 their first month of production, so 10 by last September). Will fix this in the next round. thanks Enno. I need to think harder about what the 175 BOPD average per well and the 325 average per well is really telling me; seems like something is going to give. Indeed, if the average well started in June 2015, then September is the 15th month on average… is that a back of the envelope true statement? The 175 bo/d is what those 149 wells wells did on average in September 2016. By that time however, the Jan 2015 wells were already 21 months on production. The 325 bo/d is what those 149 wells did on their 9th month on production. However, for the 2015 Jan that happened in Sep 2015, while that happened in August for the Dec 2015 wells. So, this measurement is based on the age of the wells (9 month on production), and not on a specific calendar month. It will become more clear if you select to show wells by “month of first flow”, as then the month in which wells (e.g. the Jan 2016 wells) reached a certain age (in months) is of course always equal for all wells, and you don’t have this effect. OK… one way or another, the pink curve for the 2015 wells appears to be ready for a cliff dive. If the average is now 175 that 21 month well must be making 125 etc… It seems hard to un-square that. No need to reply and thanks for your prompt response. No problem, just wanted to share 2 quick ways to get that number (CLR’s average daily output of its 2015 Jan wells). => then you can see in September that there were 21 CLR wells that started in Jan 2015, and that their total output was 3125 bo/d, or 148.8 bo/d per well, in Sep 2016. Maybe helpful for you and others. Thanks for sharing that. As you’ve seen elsewhere, not everybody appreciates the transparency I offer here, so this kind of awesome feedback certainly helps my motivation here. Honestly, a year ago on a cold weekend, I was on my IHS subscription grouping wells by cumulative recovery and current production to do the analyses (albeit much poorer in quality and scope) you offer with a few mouse clicks. My wife was actually helping me by reading the numbers while I wrote them. Every PE I have shared your sight with (I had a powerpoint slide recommending it at a September state oil and gas association meeting presentation) loves it. As time increases, it will IMHO, be the “go to” to see who is skinny dipping when the tide recedes. People need to understand that this is the world’s swing oil production; and accurate analysis of the marginal price of crude to generate the last barrel presented here IS THE TRUE FAIR WORLD OIL PRICE. 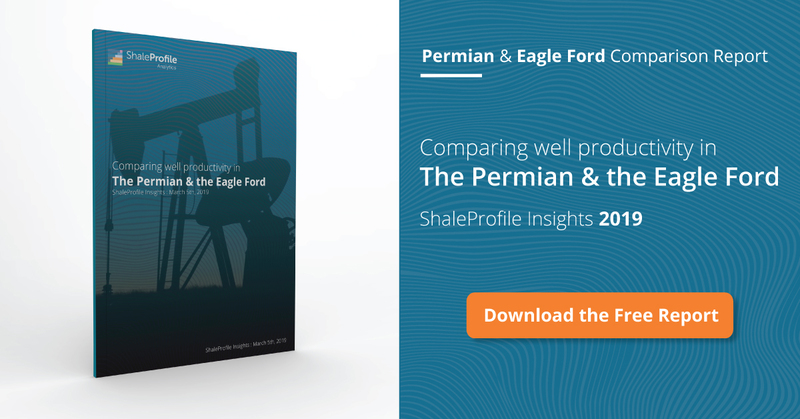 Are you still working on the logarithmic “projecting shale production” portal? When ever anybody asks “are you saying that all those wells and fracs should have never been done” I have to say “no but half of them shouldn’t”. Now the question is would we have 80% of the oil with the best 50% of the wells… seem to need ultimate projections for that.